Millions of people suffer unnecessarily every day with debilitating foot pain. It is common for people to accept foot pain as a normal part of life. Foot pain sufferers many times feel as though that’s the way their feet are and they just need to learn to live with the pain. You might ask yourself, what do I need to do to resolve my foot complaint? Is it surgery? Is it injections? Is it medications? The answer to all of those questions is often no. Surgery, injections and medications may help but will generally not fix the problem. In fact, with surgery especially there are numerous risks that you will need to consider. So then, what is the solution to actually correct the underlying cause of your foot condition and pain? 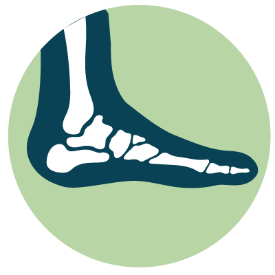 Extended time on your feet, cumulative stress and trauma over time, sprained ankles, and improper shoes mixed with hereditary factors can cause one or all of the three major arches in the foot to function abnormally or collapse. This is guaranteed to effect the alignment and functioning of any number of the 26 bones of the feet. Realigning the bones that make up the arches restores more normal functioning of the foot allowing for proper nerve, blood, and energy flow to resume to abnormal arches. Once the fallen arches are unlocked and more normal functioning is restored, the three arches begin working together in unison giving the springy feeling back to your step. WHAT CAN DR. WEHRSPAN DO TO HELP? 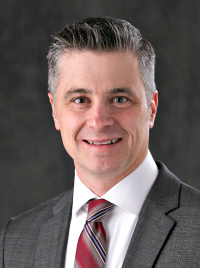 As a Certified Chiropractic Extremity Practitioner (CCEP), Dr. Kirk L. Wehrspan is a trained expert in performing specific, effective adjustments to the bones of the foot. Many people are familiar with chiropractic care as it relates to the spine, however, the idea of having your foot adjusted is a whole new concept to most. With standard chiropractic practices a chiropractor will improve a patient’s back condition by administering adjustments to misaligned vertebra. Similarly, Dr. Wehrspan provides his foot pain patients with adjustments to the misaligned foot bones thus providing the patient with relief by improving the function of the foot and truly getting to the root cause of many foot problems. WHAT TYPES OF FOOT PAIN CAN BE HELPED? Chiropractic foot manipulations are the FIRST and most crucial step in our treatment. Many patients can get significant benefit with just the manipulations and no orthotics are necessary. However, due to the chronic nature of many foot complaints and the collapsing of foot arches, orthotics may be necessary. 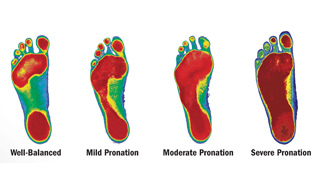 Many patient's have already experimented with various types of orthotics without much benefit. Often this is because of the poor construction of the orthotic. Almost every time though, it is because the actual mechanics of the foot had not been addressed prior to getting an orthotic. After addressing the mechanics of the feet with adjustments, the healing process can be enhanced further by custom made orthotics done with our in-office 3D ARCH scanner. We are able to visualize what structures on the bottom of the feet are carrying most of the weight and compare that to a normal foot scan. A digital image of your foot is used to create a trim orthotic insert that ensures a balanced center of gravity and even weight bearing along the entire bottom of both feet supporting all three arches in your feet for maximum COMFORT and CORRECTION. You want value and relief for your money. 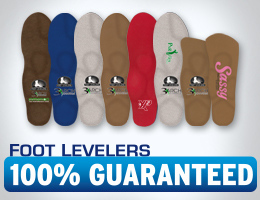 That's why Foot Levelers orthotics are backed by a 100% Money Back Guarantee. This guarantee covers materials, workmanship, and your satisfaction for one whole year! “Dr. Wehrspan’s treatment of my ongoing foot pain was the single most effective intervention I received in decreasing my complaints. I had seen a podiatrist, a massage therapist, and an acupuncturist without anything but short term relief. It is great to resume many more of my normal daily activities thanks to Dr. Wehrspan!” Susan M.
"I had found myself having the most painful, aching feet at the end of the day. It was affecting my ability to garden and landscape. I have really benefited from Dr. Wehrspan's treatments. I think his unique work with patients' feet is a wonderful contribution to our community. I have a great deal of respect for him, both as a person and as a doctor. He is so devoted to his work and his clients and to doing his best. All of this enables me to implicitly trust him" Nancy W.
"I wanted to let you know that my foot pain was 90% better after I left the office after my first treatment. I was so impressed with the care I received at your office from the moment I walked in the door until I walked out. Your office doesn't have that usual cold feeling I get when I enter a doctor's office. I really liked how you explained everything you were going to do before it happened with the adjustments because that make me feel less anxious. My hip was improved also and I was able to be out shopping and get things done without having to go home early because of the pain." Kris O. "We had a very good experience with Dr. Wehrspan. He is a caring and compassionate person. I had problems with fallen arches for many years and had seen several other chiropractors and specialists. He has adjusted my feet and ordered Foot Levelers and my feet have been much better. My husband had a shoulder that caused him pain for many years after a motorcycle accident which Dr. Wehrspan also adjusted and now he has very little pain. We both would wholeheartedly recommend Dr. Wehrspan." Dorthy and Jerry V.
"In just a week's time my feet really improved! I have gone to chiropractors for over 30 years, but never before had my feet adjusted. What a difference! My whole body feels better, from my feet to my knees to my back to my neck I am better. Thank you!" Kevin W.
So many poor “soles” go through life without taking health care matters into their own hands. They wind up having surgery without exploring their options, only to regret it later. Dr. Wehrspan's specialized treatments have allowed many of his patient's to have significant relief of their chronic and acute foot complaints. Contact the clinic TODAY to reserve your appointment by calling 515-224-9999 or by filling out the APPOINTMENT REQUEST information below. Wehrspan Chiropractic is located at 924 4th Street, West Des Moines, one intersection west of the intersection of 63rd and Grand. DON'T LIVE WITH FOOT PAIN... YOU NEED SORE FEET RELIEF!